How does LASIK Correct Blurred Vision? Of the hundreds of thousands of people who have laser eye surgery every year, the substantial majority of those patients do not have a clear understanding of how the treatment actually works. Although many people are less interested in knowing how the surgery works (especially details) as long as it frees them of their contacts or glasses, understanding exactly why your vision is blurred will help your understanding of how LASIK vision correction surgery helps and if it is right for you. 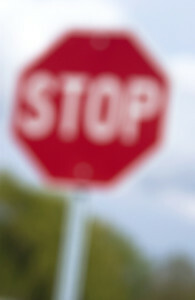 Blurred vision is an ocular (or human eye) symptom that occurs when the sharpness of objects is not so well defined as well as an inability to see small details. Whenever you look at something, you are actually just looking at different amounts and shades of light. If you have perfect vision, this light that enters your eye is focused directly onto you retina. From here it is then transmitted via your optic nerve to your brain, where the image is formed. If you need contacts or glasses, it is because the light entering your eye does not fall exactly onto the retina at the back of your eye. If you are short sighted, the light entering your eyes falls in front of your retina; and, in theory this means that the focusing mechanism in your eye is actually too strong. If you are long sighted, the light entering your eyes falls behind your retina; and in theory this means that the focusing mechanism in your eye is actually too weak. Of course, blurred vision can occur from cataracts, diabetic retinopathy, glaucoma, infection, injury, macular degeneration, retinal detachment and other causes including the use of certain medications (like atropine or other anticholinergics. LASIK is not available to treat blurred vision from all causes. What is LASIK and how does the laser correct the vision? In correcting short-sightedness, laser eye surgery somewhat weakens the power of the eye by reshaping the cornea (one of the focusing elements of the eye) which is the clear outer most part of your eye. In correcting short sightedness, the eye surgeon slightly flattens the excessively curved with the laser. With the cornea flattened appropriately, the light entering the eye will be focused onto the retina. In correcting long-sightedness, the focusing mechanism is too weak; and, the eye surgeon uses the laser to slightly steepen the curve of the cornea (which is too flat) in order to increase the power of the eye. With the cornea reshaped and steepened appropriately, the light entering your eye will now focused onto the retina. Dr. Goosey wants to make sure you fully understand all aspects of LASIK eye surgery. Being fully informed is a state of awareness that anyone considering any type of surgery should attain. 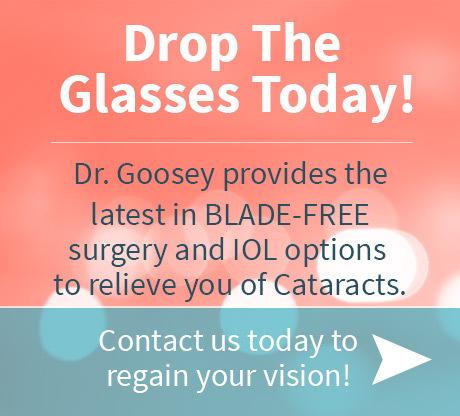 Dr. Goosey is a highly accomplished eye specialist who gives you a FREE LASIK evaluation to determine if you are a candidate and if LASIK eye surgery is right for you. For facilitating the making of well-informed and successful decisions concerning eye diagnoses, eye treatments and eye surgeries see Dr. Goosey first.